Maritime Museum is situated in INS Dronacharya in Kochi. 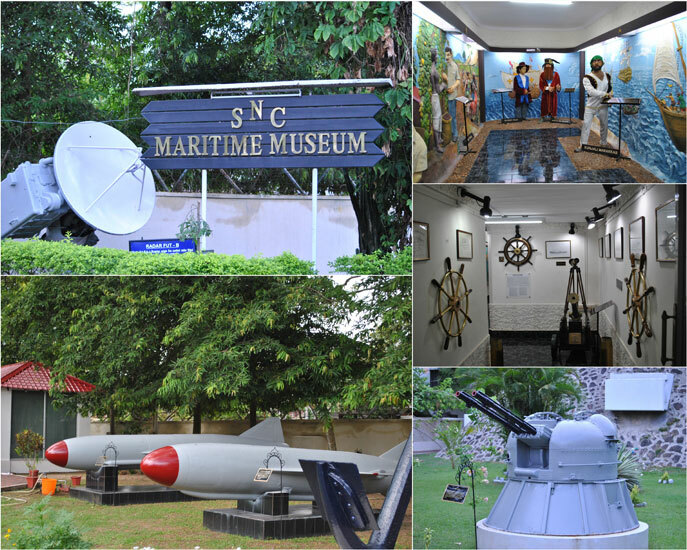 This museum is meant for the maritime heritage of the Indian Navy. This museum acts as a source for making the civilians understand the ability and need of naval force in our country. This museum helps us to know about the evolution of Indian navy in the year 1612 and also the achievements made by the Indian Navy. Some of the achievements of the Navy includes the naval power of South East Asia, naval operations such as Junaghad operation, the Goa liberation, Indo-Pak conflicts, Operation Cactus, Operation Pawan, Kargil movement and so on. Light and sound shows will be conducted here through which one can view the ancient artifacts. There are paintings and statues also which are kept for display here. A famous maritime hero of ancient times was Kunjaali Marakkar who is also given a space in this museum. In one section, there is the panoramic view of the ship building activities. This museum is unique in its own way.